The Topaz Internment camp was constructed to comprise over 19,800 acres and “consisted of forty-two checker board blocks, of which thirty-four were living quarters or residential blocks.” (Arrington, 23) The blocks were built to accommodate 250 to 300 people and “had twelve single-story resident barracks buildings, a central mess or dining hall, recreation hall, a combination washroom-toilet/laundry building, outdoor clotheslines, and an office for the block manager,” wrote Arrington. 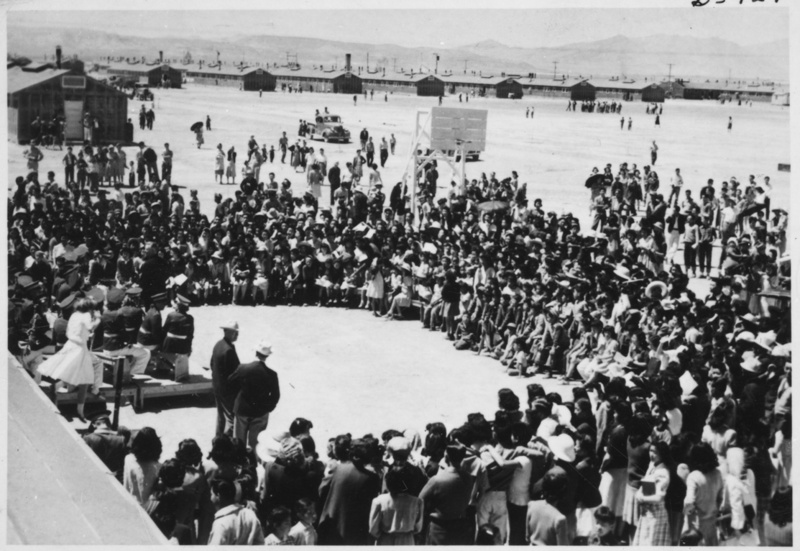 (23) Among the many Japanese Americas transferred to Central Utah Relocation Center, and the nine other camps across the nation, many if not most of the internees were teenagers and children. P1584 Willis Carl. BX 1, FLD #3. "Teens outside high school." 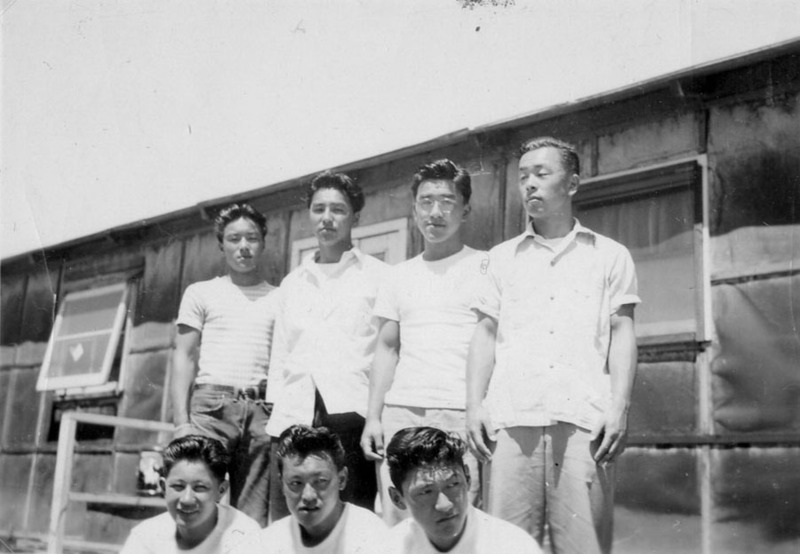 For many young people, the experience in the internment camps differed in perspective and experience than that of their parents or older Japanese Americans at the time. While camp life cast a cloud of uncertainty and worry for the future of older, parental figures, Japanese teens and children saw it differently. 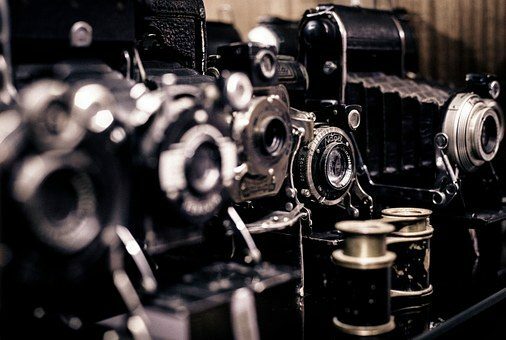 In fact, more often than not, many of them found ways to make the best of their situation. Many were able to meet and make new friends, attend school activities and be involved in sports. 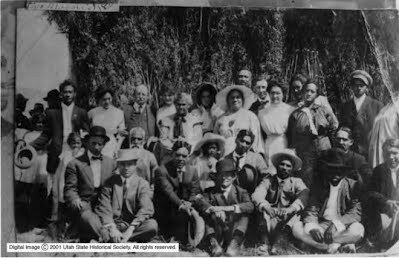 “Within the confines of the assembly centers, the Japanese Americans tried to create a community. 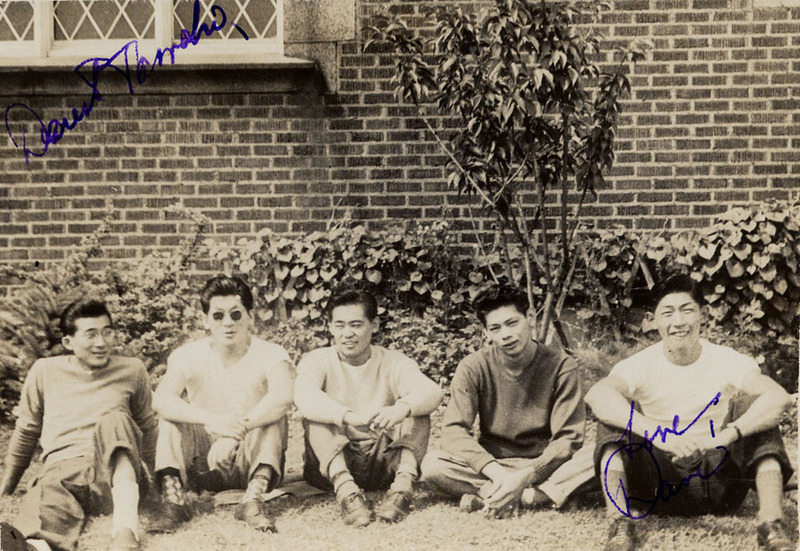 They organized schools, camp newspapers, sports programs, and talent shows.” (Tunnell, Chilcoat, 11) Other than the fact that the teens were confined to the internment camps, their lives are very similar to the lives of many teenagers today. P1584 Willis Carl. BX 1, FLD #4. "Five young men." David Hisato is on the far right. In the letters written between teenage lovers David Hisato and Tamaki Yamate, the two hardly spoke of any extreme sufferings or turmoil from being in Topaz or, in Hisato’s case, working at the Roy Labor Camp near Ogden. Yamate wrote similar letters to Hisato. She described the upcoming parties and dances at the high school in Topaz. PO 800 George Murarami Topaz, FLD #6. "7 young men." Hisato and Yamate also wrote to their friends throughout the nation and received many letters in return. A close mutual friend, “Minzo” Askiyoski, wrote them both and his letters were similar to the letters exchanged between Hisato and Yamate. There was minimal discussion of specifics of camp life, but he emphasized social and personal events. P1584 Willis Carl. BX 1, FLD #4. "5 young kids." PO 800 George Murarami Topaz, FLD #6. 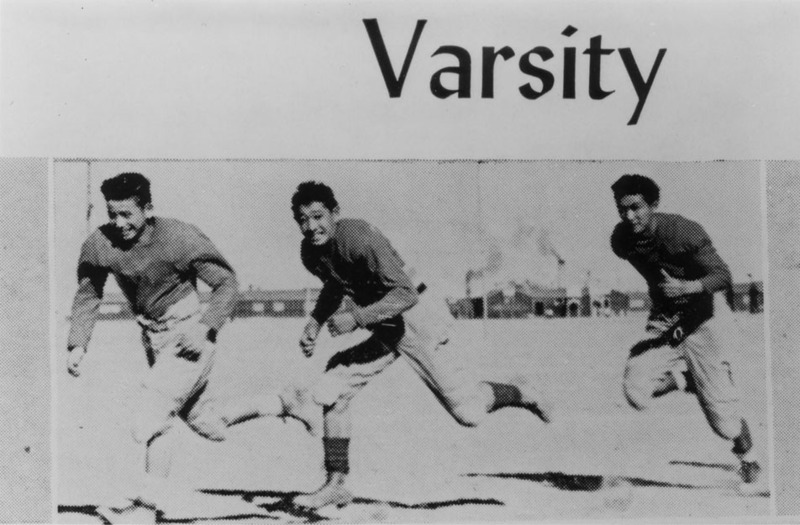 "Three Varsity football players." Many teenagers found camp life dull and repetitive, but seldom complained about living conditions. 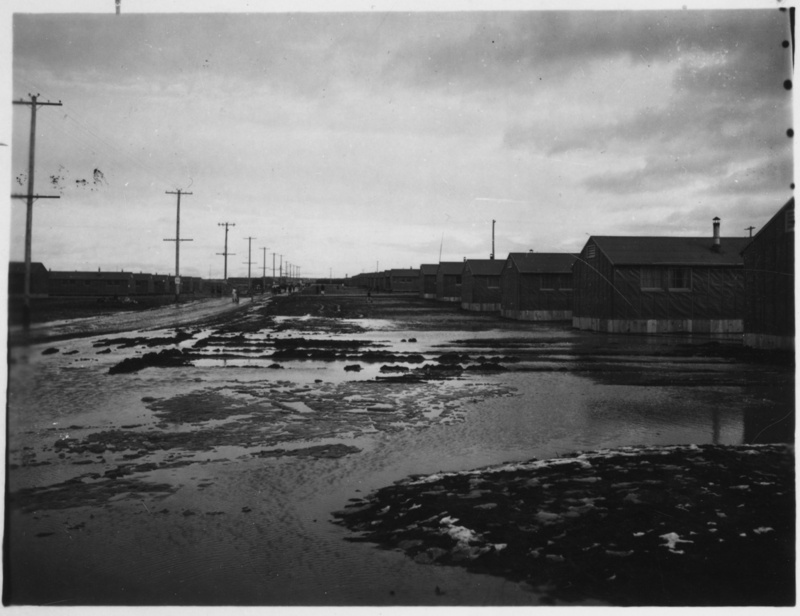 Another English student from Tule Lake Internment, Heidi Morioka, described camp as being unbearably hot some days and with the lack of trees on site, there was no place to cool off under. (Morioka Papers) Nearly all the teens were happy that the camp gave them the opportunity to meet other Japanese teens/children their age. P1584 Willis Carl. BX 1, FLD #2. "Young girls doing homework." PO 144 Japanese Relocation, WRA. BX 1, FLD 3. #41. "5th grade girls playing 'too deep.'" The Japanese relocation was a defining time in American history. 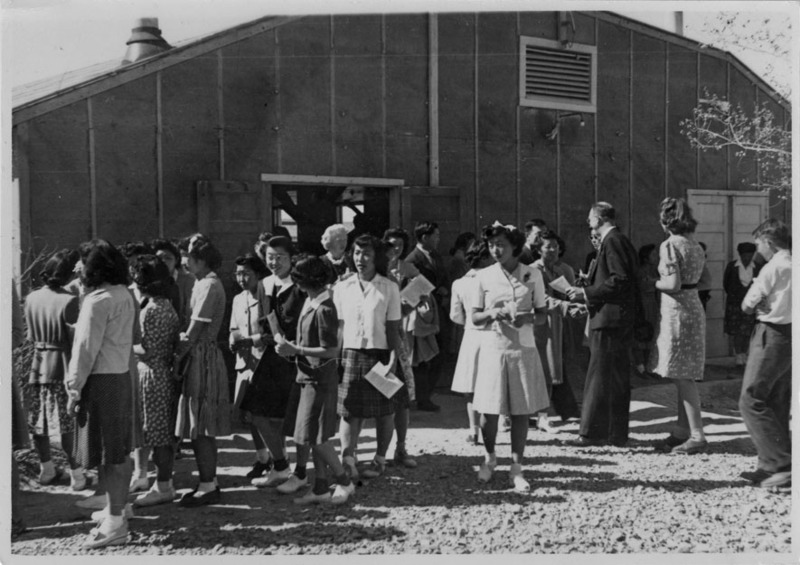 For several years, many Japanese Americans lived in barracks behind fences, unable to go out on their own without being supervised. 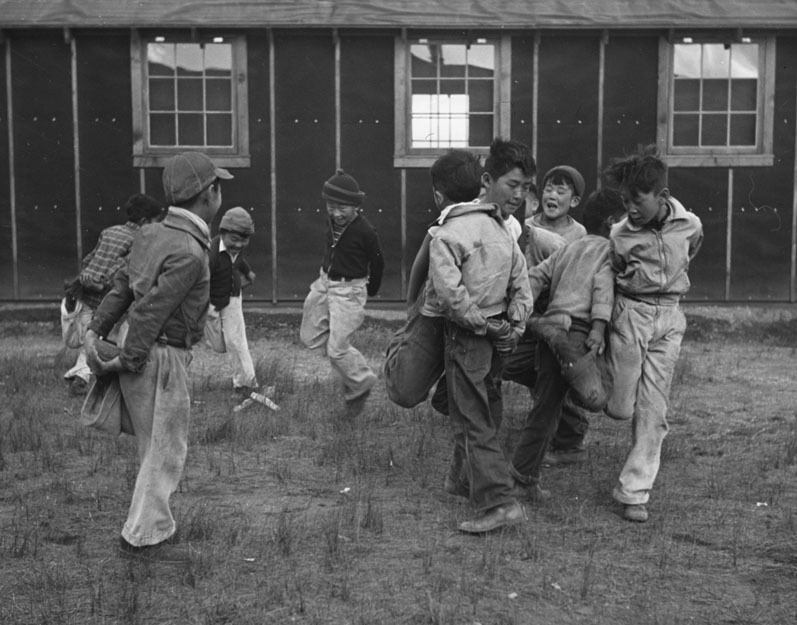 But as the youth internees have displayed, many Japanese Americans complied with the U.S. government and did their best to assimilate and adapt to camps to keep their lives as normal as possible. The Japanese Americans were faithful U.S. citizens and were punished for something they did not do or want. PO 144 Japanese Relocation, WRA. BX 1, FLD 3. "5th grade boys." 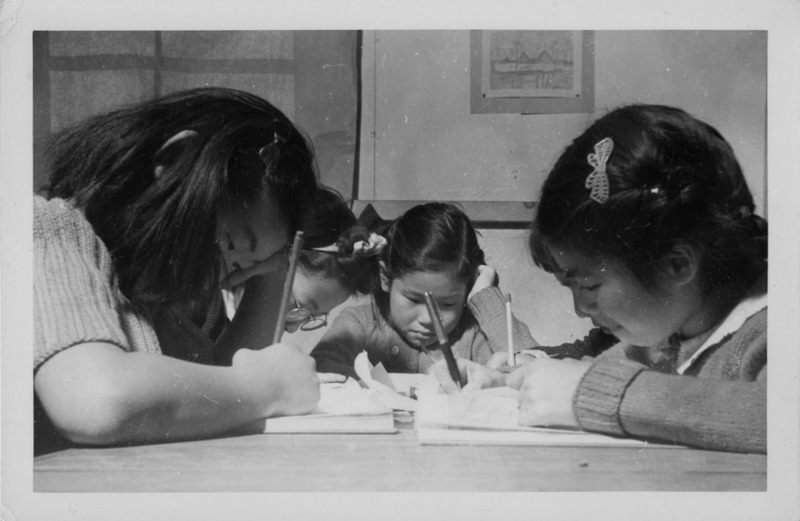 The relocation of Japanese Americans will always be significant in U.S. history. The gender, race, ethnicity, religion and color of a person’s skin do not determine their amount of loyalty or disloyalty to their country. After the recent September 11th incident, many Muslim Americans were threatened and scrutinized for an attack made by a terrorist in a Muslim country. 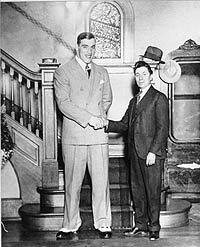 Some Americans feared the Muslim Americans, weighing in the same accusations the Japanese Americans were accused of (sharing information and helping Japan) because “that’s who they originally are.” It’s important that these stereotypes are broken and that we as a nation do not segregate individuals based on the way they look or where they come from. Tiffany Lieu, born and raised in Utah, began her college career at the University of Utah in August 2006. She is experienced in both print and broadcast journalism and has worked for the Daily Utah Chronicle, KTVX ABC 4 News, News 8 Texas, Lessons Magazine and KUTV CBS 2 News. Lieu loves being able to share her love of writing and communicating by helping others tell their stories. Lieu studied mass communication, with a focus in journalism and graduated with a bachelors of science in May 2010. David Hisato and Tamaki Yamate, Hisato and Yamate Papers – Letters, MS 680, Boxes 1-5, 8, Special Collections, J. Willard Marriott Library, The University of Utah. Rosie Ishibashi, Japanese Relocation Papers, MS 144, Box 4, Special Collections, J. Willard Marriott Library, The University of Utah. Yukio Kumata, Japanese Relocation Papers, MS 144, Box 4, Special Collections, J. Willard Marriott Library, The University of Utah. Heidi Morioka, Japanese Relocation Papers, MS 144, Box 4, Special Collections, J. Willard Marriott Library, The University of Utah. Leonard J. Arrington. 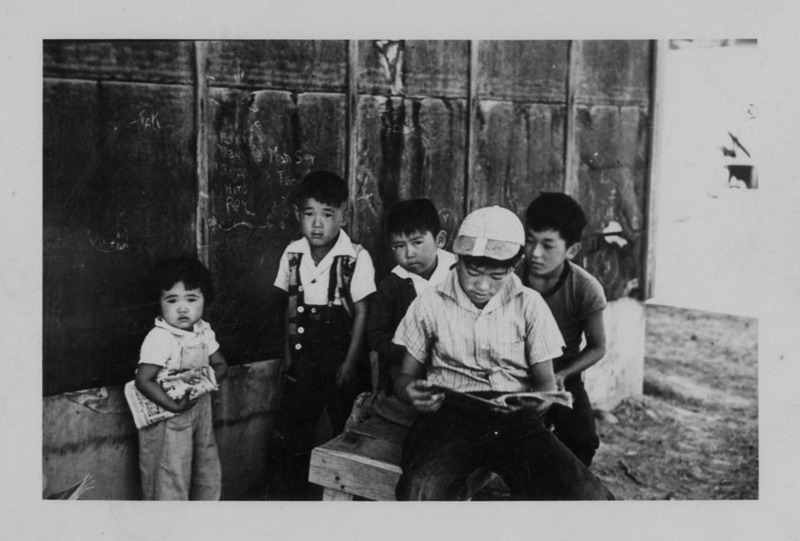 The Price of Prejudice: The Japanese-American Relocation Center in Utah during World War II. Logan: Utah State University, 1962. Michael O. Tunnell and George W. Chilcoat. 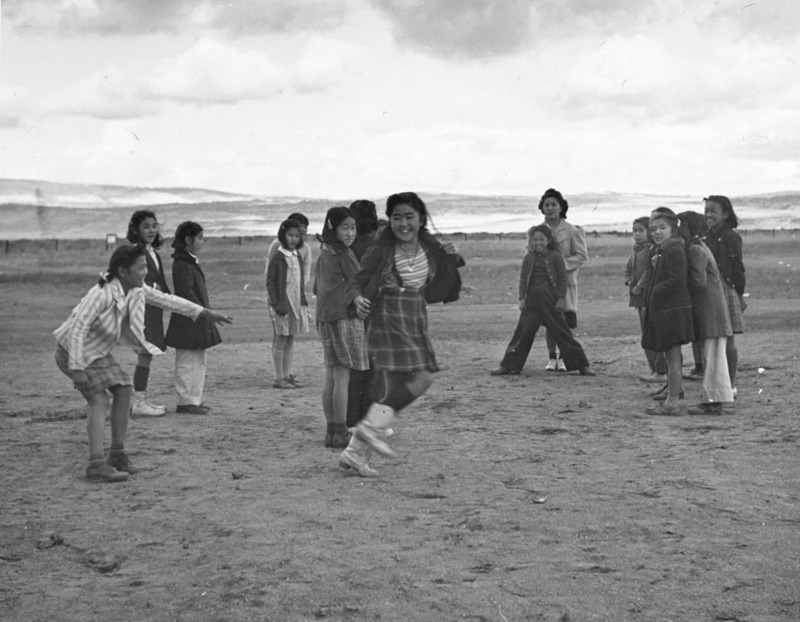 The Children of Topaz: The Story of a Japanese-American Internment Camp. New York: Holiday House, 1996.